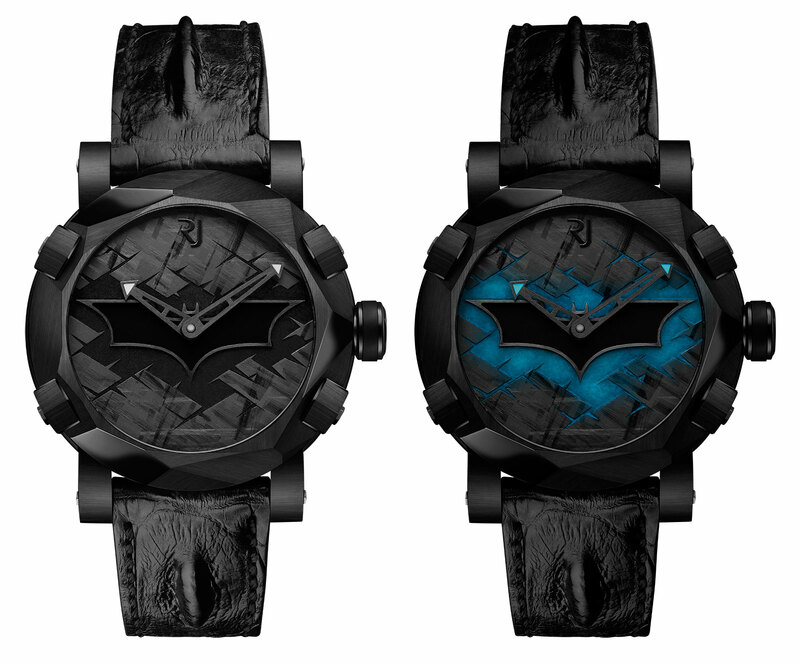 To mark the 75th anniversary of the first Batman comic, Romain Jerome has teamed up with DC Comics to create the Romain Jerome Batman-DNA, a limited edition of 75 pieces featuring a glow-in-the-dark, Bat signal dial. Batman first made his appearance in Detective Comics #27 in 1939 but Bruce Wayne’s alter ego is still an integral part of pop culture. 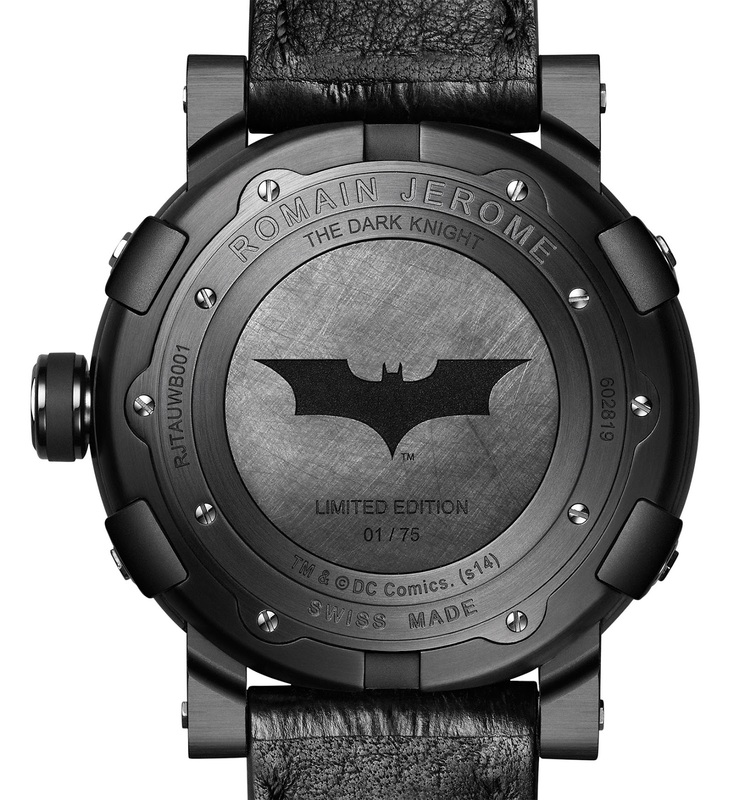 Romain Jerome‘s tribute to the Dark Knight’s longevity is the Romain Jerome Batman-DNA, a limited edition wristwatch with a dark, edgy aesthetic and a dial that lights up the Batman emblem at night. The flat black dial has at its centre an applied Batman emblem, not readily obvious during the day. But at night it is lit up by black Super Luminova that glows blue, lighting up the logo just like the Bat signal. 46 mm in diameter, the case is black coated steel, with angular facets on the bezel inspired by the Batmobile. It is fitted on a hornback crocodile strap with prominent scales to match the aesthetic of the case. Inside is the RJ001-A, a Sellita automatic movement with a 48 hour power reserve. 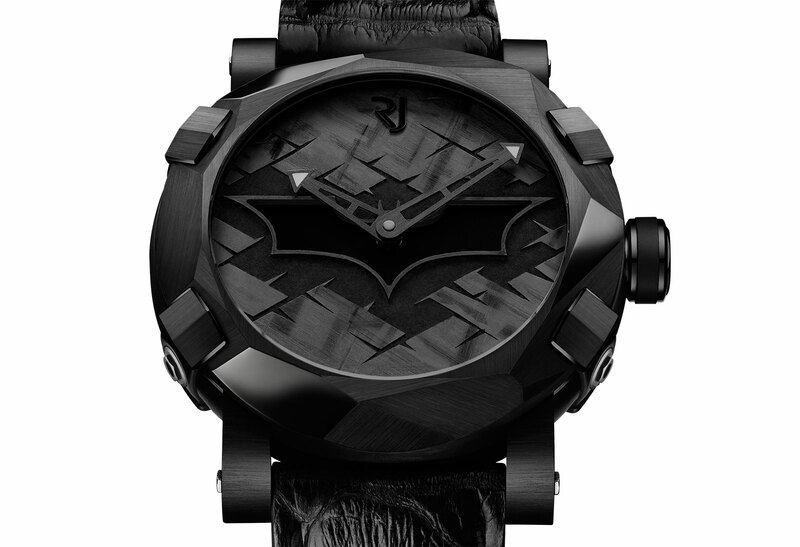 The Batman-DNA is a limited edition of 75 pieces with a retail price of US$18,500 or 14,950 Swiss francs.